If I said it once then I've said it a million times. 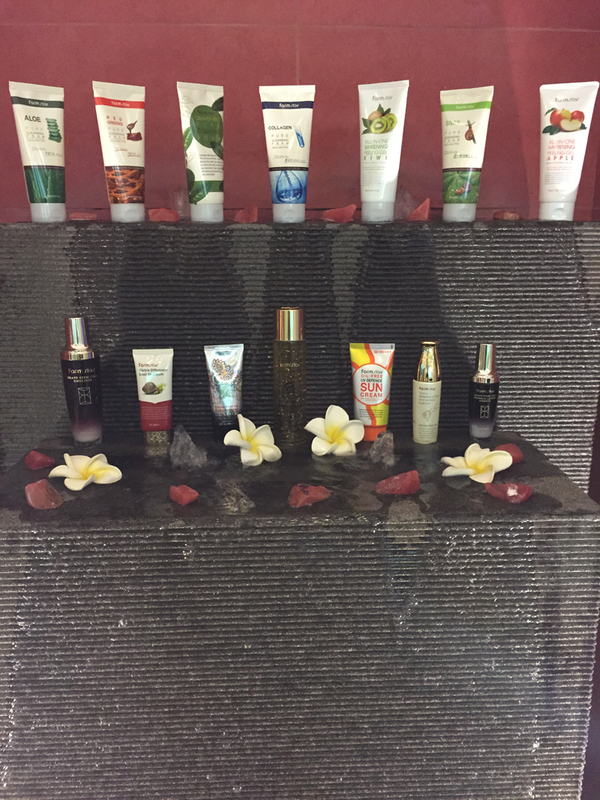 I freaking love anything in line of beauty and skincare products! It's a fascination of mine that I've had for years. I'm obsessed with keeping my skin and face nourished and making sure that they look fabulous at all times. But I am actually amazed and jealous by how flawless and white the skins of Koreans are. They're so perfect that every time you walk passed a Korean girl, you have to ask yourself if she's either 15 or 30 something. It's really hard to internalize that someone with such a young and healthy looking skin has been living under the impoverish ozone layer for already thirty something years. How can I stop myself for being a fan of Korean Beauty Products? 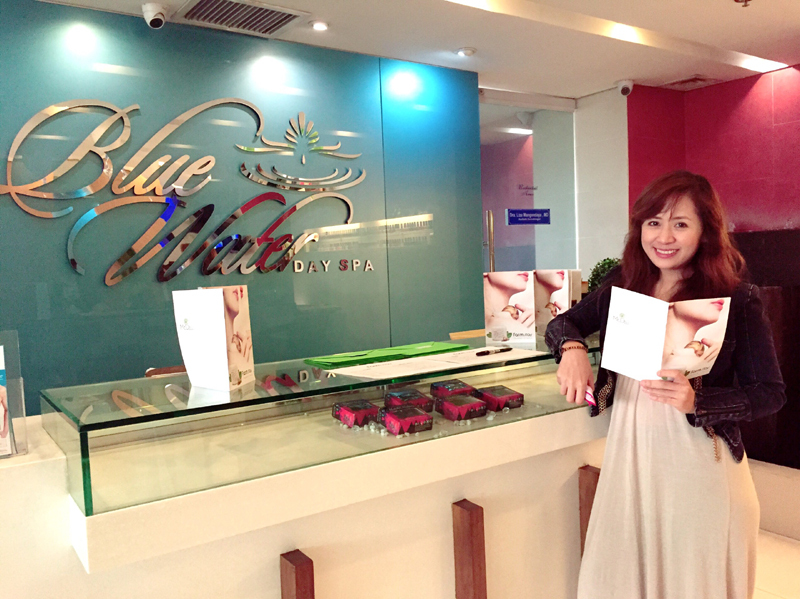 Which is why when I got invited to Farmstay's Spa Party at Blue Water Day Spa, I didn't hesitate for a second to say yes because "Beauty, Relaxation, Farmstay" All of it sounds good to me. 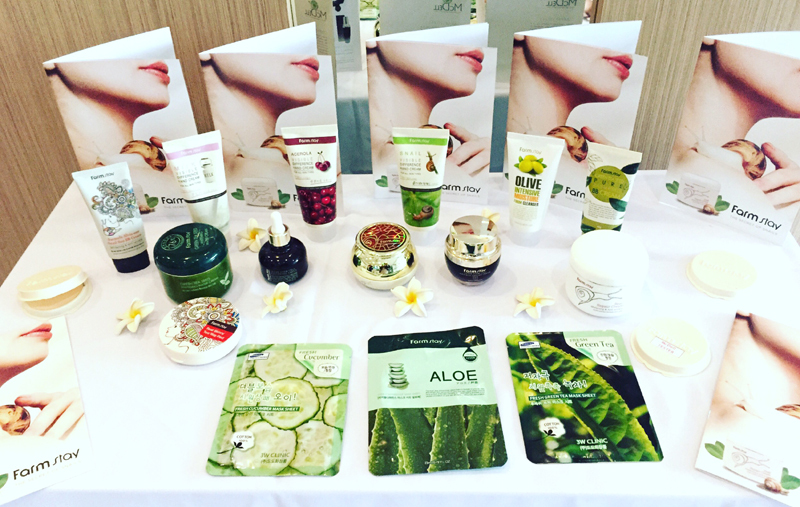 In the past years, products from Korea have risen to the forefront of the international beauty scene making it as the Asian mecca for beauty innovation. This is justified by the majority of Koreans known for their flawless complexions that defy aging. In fact, Koreans owe their youthful and fair complexion to their very own 10-step beauty regimen which involves makeup removal, cleansing, exfoliating, toning, essence, ampoule, sheet mask, eye cream, emulsion and night cream. You don't need to go to various stores for these skin care essentials because Farmstay, a line of organic Korean beauty products that you can use to achieve that Korean ulzzang (literally "best face"), is now available in the Philippines! 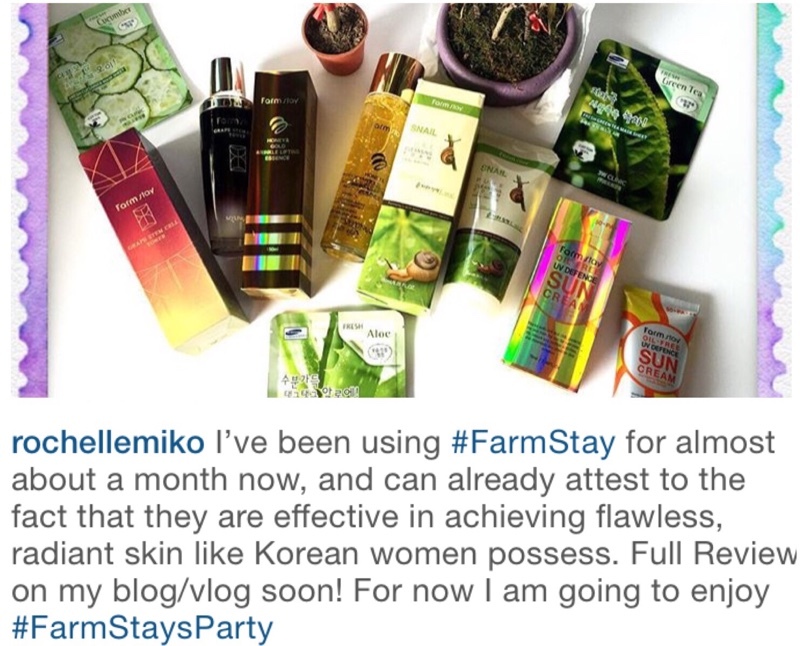 Farmstay is exclusively imported from Korea and distributed in the Philippines by McDell Healthcare Products, Inc. The Slime from Snails is a key ingredient in some of Farmstay products. Studies show that snail slime contains a cocktail of proteins, antioxidants and hyaluronic acid which removes dead cells, reduces inflammation and helps skin retain moisture. The benefits for human skin were discovered by Chilean snail farmers who noticed their skin became extremely soft and cuts also healed quickly without scarring when they handled the creatures which were being exported to France. Snail Slime sounds like something you wouldn't want to put on your face, but you would be surprised. 8. Visible Difference Snail BB Cream. "It is McDell's goal to bring Korea's technical advances in skincare to be more accessible and affordable to Filipinas as we bring Farmstay products here in the Philippines. Unlike other brands in the market which are marked with strong scents, Farmstay products have a light smell as they are made with natural ingredients. The Filipina is naturally beautiful. However, the daily stresses of life plus environmental factors that include pollution, intense heat, and high humidity can take toll on our skin. It is important, then that we exert extra effort in taking care of our skin. At the heart of promoting organic skincare products from Korea, Farmstay is also in the business of empowering hardworking Filipina professionals to achieve a great life. What better way to send the message than by tapping a true epitome of beauty and passion Lisette Lim Bendicion as its brand ambassador. Who is Lisette Lim Bendicion? She is currently pursuing Bachelor of Science in Dentistry at the University of the East in Manila. She has appeared in various fashion and lifestyle magazines promoting awareness on the true essence of beauty with a purpose which makes her an inspiring woman to many young professional Filipinas who are career driven but still puts a premium on taking care of themselves. Thank you so much Farmstay Philippines (McDell Healthcare Products, Inc.) and Card Dela Cruz for inviting me. It was a fun and relaxing event! 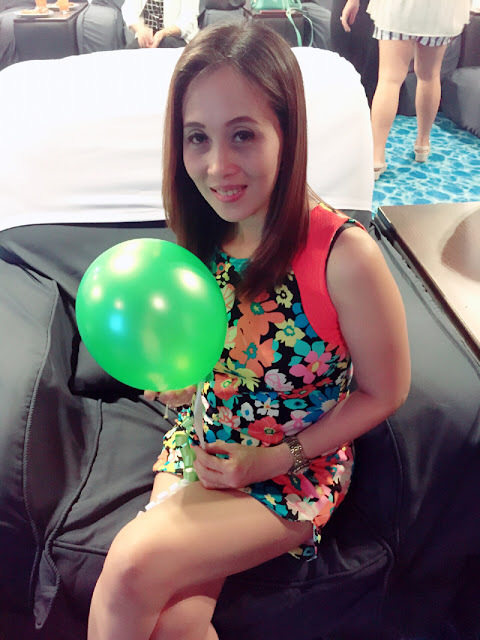 I would also like to take the opportunity to greet my dearest sister a "Happy Birthday". She celebrated her birthday today and this event was just the perfect timing for her because everyone deserves pampering on the day she was brought to the world. Stay Beautiful Ate Jenny I love you! 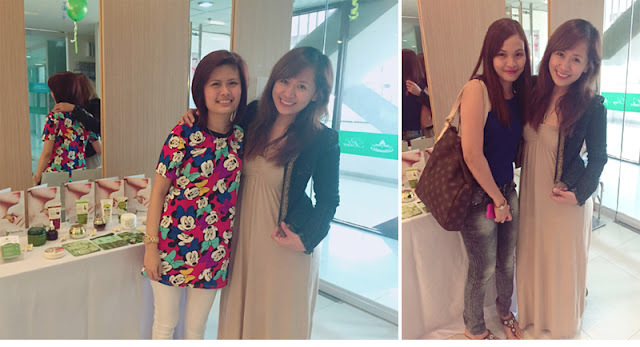 I am so glad that I also got to see Lhyzie and Pearl at the Spa Party. Hope to see you again soon!